Remodeling the kitchen is one of the most fun projects to do around the house. ProSource® of Orlando loves helping trade professionals and their homeowner clients redevelop this well-used and loved living space. From design inspiration to organizing the products needed to make the project complete, we’ll be there along the way as a resource and trade pro partner. Our model at ProSource is simple. We offer high-quality products at low wholesale prices. We do this through our connections to 145 other showrooms across North America, which gives us incredible buying power in bulk. We pass those savings on to our pros and their homeowners instead of adding retail markup. Learn more about a few of the products we offer that help launch kitchen remodel projects. 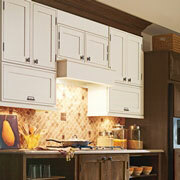 Kitchen cabinets are a foundational element to kitchen remodel projects. Cabinets come in many different colors or wood stains and door shapes that help make each project unique. We have cabinets that help homeowners improve usable storage space and match design aesthetics. 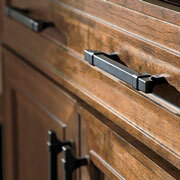 Add a touch of class with matching cabinet hardware. The cabinets really don’t look complete without it. From traditional knobs to more sleek and stylish handles, cabinet hardware is fun to pick out because of the incredible variety of choices. 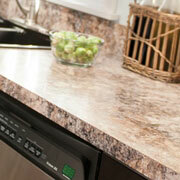 The countertop, like the cabinet, is another important element in the kitchen. These should be the ideal color and material, but they also need to be measured and cut precisely for easy application in the home. You can depend on ProSource for this reliability. Though not as prominent as countertops or cabinets, the kitchen sink is an essential piece to a remodel project because it is an extremely functional part of the kitchen. 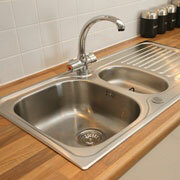 From apron-front to trough to large chef sinks, a kitchen sink can be exactly what a homeowner needs in a new kitchen. The faucet brings the sink to its full potential. 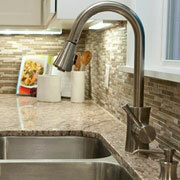 From traditional knobs to artistic handles and water spouts, faucets can be as unique as the homeowner.